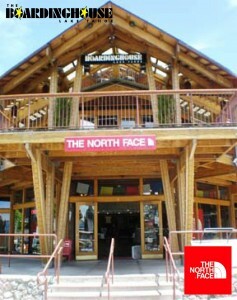 Owned and operated by Heavenly Sports, The North Face boasts an impressive selection of ski rental brands, such as Volkl, Rossignol and K2. What’s more, they carry Burton brand snowboards and Dalbello ski boots. For the beginning to intermediate skier – comfortable and easy to turn. Designed for the aspiring Intermediate skier who wants the stiffer ski for better edge grip throughout the turn, as well as a more stable ski at higher speeds. For skiers who are in the market for purchasing new equipment and want to test out the plethora of skis on the wall. Apply the three days of demo towards the purchase of a new pair!! You may apply three days demo cost towards a new package. For the beginning to intermediate skier – a great learning tool as your children progress from a wedge to parallel turns. For the beginning to intermediate rider – comfortable, easy to turn equipment. We will be staying at the Ridge Resort and is looking for info on ski lessons along with prices for children ages, 10-11, beginners and whats required. We are looking for group rates for the kids. Our arrival date is December 24th-27th, 2009, but is looking for a 1/2 day rate for our childre. Any info would be helpful along with rental prices for the equipments if we decide on that option. Thanks for your time, and look forward to hearing for you all. Hello we are interested in renting ski equipment, we are a group of 17 people, I wonder what kind of discount can offer your store was widely recommended. We are planning to arrive on Monday 29 March afternoon to rent the equipment for 5 days. 8 children under 10 years.